Believe it or not, the best wireless lavalier microphones in 2018 can give your videos the best audio quality. Used for live performances, public speaking, the creation of Youtube videos, and filmmaking, these lav mics can amplify sound and maintain consistent levels when the audio is low or high. You can now do away with handheld mics and have less dependency on the inbuilt mic in your camera (for filmmakers and videographers) since these are comfortable and non-obstructive lavalier systems. They come with admirable specs in the range they fall into and as such, you can even get the best budget lavalier mic. Whichever you decide to settle with, you can expect an acceptable level of performance which is equivalent to your money's worth. These and many more are what our buying guide to the best lavalier microphone on Amazon for iPhone, DSLRs, and filmmaking will help you achieve. What is a Lavalier Microphone? What is a Wireless Lavalier Microphone? How do Wireless Microphones Work? How Were These Mics Selected? A lavalier microphone is a small microphone that is fitted to the clothing or an area such as the hair, that is close to the voice of the speaker. What it does like any other microphone, is to amplify the sound while at the same time blocking background noise in order to produce superb audio quality. A lavalier mic is also called clip mic, body mic, collar mic, lav, lapel mic and in each case, you'll notice that reference is made to where it is mounted and as such, that is where it derives its name. For their uses, Lav mics are used for public speaking in places such as the church, school, or office. They also serve as an audio amplifier for actors and singers in the theatre and are used for film production, interviews, news casting, and so on. 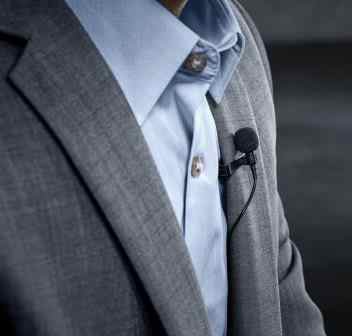 A lavalier mic clipped onto the clothing can either be connected wirelessly to the recording device, smartphone, PC, or camera, or it can be connected directly to the camera with a cable. 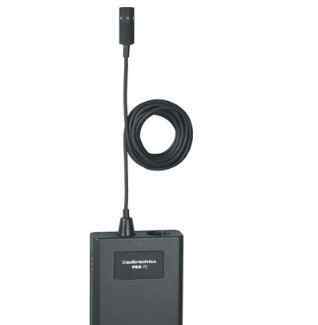 A wireless lavalier microphone comes with a clip mic, transmitter, and a receiver. Sound captured by the mic is converted by the transmitter into radio signals before it is wirelessly sent to the receiver. 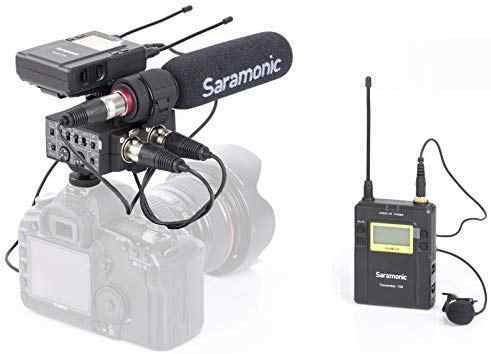 It is a clip mic connected via cable to a transmitter which transfers audio signals to the receiver without any physical connection. This transmitter which usually has a lightweight, can be fastened to the belt of the subject, placed in the pocket, or even hidden under the skirt. The receiver, on the other hand, is usually mounted on the camera or recording device where it transmits the sound to the device. The difference between a wired lavalier mic and a wireless lavalier microphone is that in a wired lav mic, the mic is physically connected (via cables) to the recording device or amplifier. You may have tangling cables to deal with and your movement may be restricted. Although this type of button-sized microphones may be most suited for areas where you are not required to much about so much, if you're shooting a documentary, film, or in a live performance, you may come to appreciate a wireless mic more. How Do Wireless Lavalier Microphones Work? 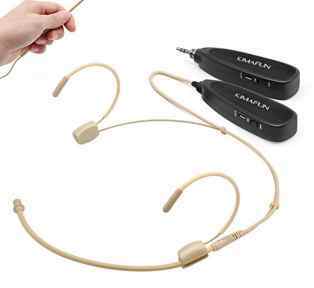 Lavalier microphones are exceptional in their method of operation because they do not only amplify sound, they can block background noise and even minimize distortion. A quality clip mic system automatically scans frequencies to find the ideal channel and it also makes interferences inaudible. The transmitter sends radio waves to the receiver which can either be an UHF or VHF receiver. A UHF (Ultra High frequency) receiver can cover a frequency between 300 to 3000 MHz, while a VHF (Very High Frequency) can only cover radio frequencies from 30 to 300 MHz. While the latter has a greater operational range, it tends to drain battery power faster than a VHF system. In essence, if your priority is battery over range of operation, then you may find it more useful. But i doubt that might be the case given that some UHF receivers are powered with 2 to 4 AA batteries that can provide a long battery life. 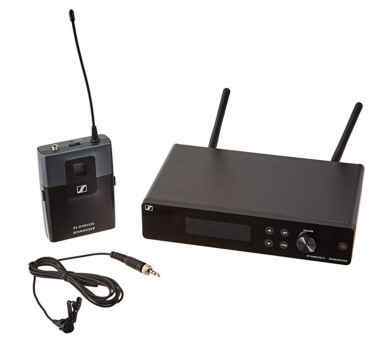 You'll find a wireless lavalier mic such as the Sennheiser AVX with an auto on/of feature for its mic whose action is controlled when the camera is either on/of and this is in a bid to conserve battery power. Let's take a look at the polar patterns of lavalier microphones. If you're wondering what a polar pattern is, it is the field of region around the microphone's diaphragm where sound can be detected. There two types of lavalier mic pickup patterns and these are the directional and omnidirectional polar pattern. A directional polar pattern is exhibited by a cardioid lav mic which has a limited field of vision. This type of mic is more sensitive to sound that is coming directly in front of the mic, slightly sensitive to sound that is coming from the sides, and insensitive to sound that is coming from behind the mic. In a more technical sense, they have a greater width of panorama at the front, lesser by the sides, and nonexistent at the rear. An advantage to this is that it can block out noise better than an omnidirectional lav mic since the surrounding sound will not be picked up. Sound quality may be dependent on the angular orientation of the speaker to the microphone's diaphragm. 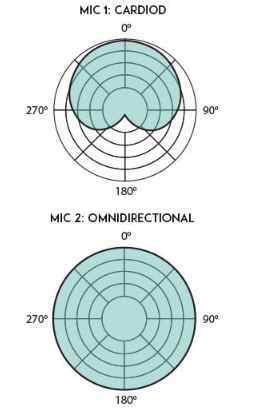 An Omni-directional wireless lavalier microphone is sensitive to sound that is coming directly in front of the mic (0º), from the sides of the mic (90º/270º), and even from behind the mic (180º). In technical terms, they have a spherical width of panorama. It can amplify sound that is coming from all directions and derives its name 'Omni' from this mode of operation. An advantage to this is that it can detect sound irrespective of the angle the mic is facing and for this reason, the speaker can still be heard even if they're facing an opposite direction. Each pattern has its perks and downsides, and the wireless lapel microphone that you decide to settle with will be determined by the purpose you want it to acheive. A lav mic can provide clear sound quality because it is placed very close to the subject and the audio quality can be maintained even when they are moving. In line with that, it allows you to move about freely after the mic and transmitter have been securely fitted to your clothing. The audio of a wireless lavalier mic can be distorted either by the line of sight being blocked by a person or object, or by being in a dense environment. This problem is eliminated in some wireless mics by automatically switching between frequencies to find the ideal channel. In the same vein, most have an omnidirectional polar pattern which may not be able to block out the noise coming from the environment such as the rustling of the clothes. Shotgun mics can are best suited to enhance sound quality when the speaker is fixed to a position or does not move around so much. Most take advantage of super-cardioid or hyper-cardioid polar patterns that help to only amplify the audio coming from the sound source. For shotgun mics, they are suitable for use when there are many subjects since you won't have to set up the a wired mic on every participant as would be in the case of a lavalier mic. If at this point you're still wondering whether you should dish out that valuable cash to buy a lav mic especially when you have one of the highest quality wired lavalier or handheld mics lying around, here are some benefits you stand to enjoy with a clip mic. Lavalier mics that can cover a greater range will be most appreciated by filmmakers and those whose setup is not close by. Instead of having an extra guy carry around a shotgun mic, you can clip one of these to your talent and still get an appreciable audio quality. If you'll be doing an interview or podcast where the camera setup is close by, then you may still rely on the wired lavalier mic you have. Generally, lavalier mics are small, nonobstructive, and concealable. They can easily be hidden under the clothing and they don't weigh a ton. You'll find some mics weighing as little as 1g. In addition, the dimensions of both the transmitter and receiver as well as their weight make them a portable device that can be carried about with ease and mounted on a camera. While you get a hands-free operation, you can also move around freely without being restricted by cables or another extra load by your hip. As is the case of every wireless device that can be used without cables, they reduce hazards such as tripping over a cable. Not only will you eliminate tangling cables, you can also prevent any potential accidents that may occur. For performers such as actors or singers, it may not be ideal to act or dance on stage with cables running all over the place, hence a wireless mic becomes necessary. Here's the part where we show you the best wireless lavalier microphones in 2018 that can perform well with a sound reinforcement system. Whether you are in the US, UK, Australia, or Canada, you can buy each of these from reputable e-commerce sites such as Amazon, Walmart, and eBay. One of the best wireless lavalier mics for DSLRs with a moderate price tag of about $299, is the Shure BLX14/CVL-H10 Wireless System. Shure is an American based audio products company, that has been in existence since 1925 which is one more reason to settle with this brand given their experience in making high-end microphones. The BLX14/CVL lavalier microphone from Shure is a wireless system that comes with a CVL lapel mic, BLX1 bodypack transmitter, Lavalier clip, as well as windscreens. The transmitter is designed with an LED screen which displays the battery and power status and it is very portable. Consequently, you can fasten it to a belt or fit into a pocket. On the other hand, the receiver which is easy to operate has been designed with three buttons where one serves as a power on/off button and the other two for manually selecting a frequency. It is very portable and is comparable to the size of a Blu-ray player meaning that you can carry it around with ease without feeling like you have an extra load on you. For durability, you get a thick cable for connecting to the transmitter, and the well-built receiver and transmitter that stand the test of time. The Shure CVL is a condenser microphone that takes advantage of the cardioid polar pattern. Accordingly, the mic's diaphragm will be most sensitive to sound coming directly from the front and may be insensitive to sound from the back. It is important to say that it can block noise better than an omnidirectional mic and as a result, only the sound from the speaker will be amplified. This lav mic automatically hops between frequencies in a bid to find the ideal channel where there will be no distortion in the audio sound. The transmitter has an operational range of 300 feet (100m) which can maintain a seamless connection between the transmitter and the receiver before the signal is lost. This long-range also ensures that even when the light of sight is blocked, the audio quality is not significantly affected. 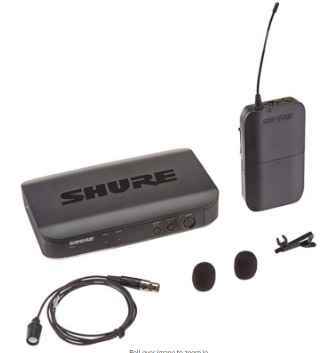 According to its manufacturer, the Shure BLX14 can provide a legendary audio performance and as such, you can use it indoors and outdoors and still expect a crisp and clear sound. This transmitter is powered by 2AA batteries that can provide a long battery life of up to 14 hours and its receiver has an inbuilt antenna that supports only a single channel. The Rode RodeLink FM Wireless Filmmaker System has been specially designed to meet the needs of videographers and filmmakers. And so, this is one of the best wireless lavalier microphones for film. RØDE, is an Australian owned company that specializes in the design and manufacturing of microphones. What's up with the Rodelink? This wireless system is made up of a TX-BELT transmitter, body microphone, and an RX-CAM receiver. The body mic is concealable given its dimension of 12.00 x 4.50 x 4.50mm (H x W x D) and weight of 1g. The transmitter has a lightweight of 190 grams and a dimension of 111 x 65 x 52 mm which makes it easy to be carried about after being fitted to a belt or clothing. On the other hand, the receiver comes with an OLED display screen that shows the battery status, mute and channel selection. The RODELink uses a series II 2.4GHz digital transmission with 128-bit encryption to transmit radio signals. This system monitors and hops between frequencies in order to select an ideal channel without distortion. A clear and crisp sound that makes for the best audio quality in your videos. The transmitter has an operational range of 100 meters which is long enough to maintain steady connectivity especially if the line of sight is not blocked. As a filmmaker, your subject can move around freely given this long range and you can still be confident that there will be no break in transmission. This transmitter has a 3.5 millimeter TRS socket with dual mono output that sends radio signals to the receiver. The receiver, on the other hand, can simultaneously receive audio signals from up to 8 transmitter channels. Both devices can be powered by 2 x AA batteries or micro USB and these batteries can offer a long working time support. The clip mic has a frequency range of 60 Hz to 18 kHz which allows your videos to have quality audio whether the speaker's voice is high or low. If Sennheiser doesn't make this list, then its loyal fans will be dissatisfied. At one point or the other, you may have come across this popular brand's audio products such as bone conduction headphones, wireless TV headphones, and even open back headphones. If you haven't, you may want to take a closer look at its wireless lavalier mic. Sennheiser electronic GmbH & Co. KG is a German audio company that designs and manufactures telephone accessories, microphones, headphones, etc. First off, you can look forward to an unobtrusive lapel microphone for hands-free operation. What you get in this system, is a bodypack transmitter SK-XSW, clip on mic ME 2-2, a power supply NT 12-5 CW, 2 AA batteries, a rackmount kit, and pouch. The receiver has a metallic casing (dimensions of 200 x 42 x 127 mm and weight of 680g ) to provide durability and it also comes with an LCD display screen. The transmitter, on the other hand, has a dimension of 71 x 96 x 28 mm and weight of 95g which makes it a very portable device. 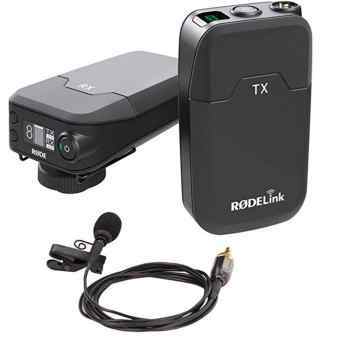 The transmitter and microphone are sweat-resistant and can also withstand the toughest stress in everyday on-stage use. This is a lavalier microphone system that has been built to last. This body mic is a condenser microphone that is suitable for studio recording. As a capacitor mic, it is highly sensitive to loud sounds and can reproduce a stronger audio signal than that of a dynamic microphone. The receiver supports transmission from up to 12 channels and without affecting the audio quality. It makes use of an external antenna and can automatically select the ideal frrquency for transmission. It is a UHF receiver supports a wider range of radio frequencies compared to a VHF receiver. The Audio-Technica PRO 70 cardioid condenser lavalier microphone has also gotten our attention because it has been specially designed for vocals and acoustic guitarist applications. This mic is designed and manufactured by Audio-Technica Corporation, a Japanese company that also makes professional headphones and other audio equipment. At 129 dollars, it is less expensive than the Sennheiser XSW 2-ME2-A and Shure BLX14/CVL-H10, but can still offer great audio quality. This clip mic weighs 8g and it has a gold-plated XLRM-type connector that is corrosion-resistant. While it has been designed to be nonobstructive, it has also been built to last. There is a 1.8 m cable that connects the microphone and transmitter and you also get a mount for guitar. The transmitter has a weight of 134 g and a dimension of 83.0 x 63.0 x 22.0 mm (H x W x D), translating into a portable device that can be carried around with ease. The PRO 70, is a condenser microphone which is suitable for sound recording, as well acoustic guitar applications since it will be dealing with very high sound levels. This type of mics are generally more sensitive to loud sounds and they have a greater frequency response and transient response that will help to reproduce sound immediately. As a cardioid mic, it does not pick up sound from the rear and it is less sensitive to sound coming from the side. It won't pick up sound in the room but will only amplify the sound from the speaker. The frequency response is 100-14,000 Hz, hence it can reproduce deep and high sound levels. Looking for the best budget wireless lavalier mic? Then here's the Kimafun 2.4g wireless lavalier microphone that does not require that you take a chunk out of your wallet before getting an appreciable audio quality. This is a Lavalier mic for teaching, preaching, and other public speaking applications. While Kimafun is the brand's name, this microphone system is designed and manufactured by Shenzhen JHC Electronics Co., Ltd, a Chinese audio products company that specializes in professional microphones, headphones, and condenser cartridges. The Kimafun wireless microphone system is made up of a transmitter with a backlit LCD screen that indicates the current status. It has a mini metal clip that will allow you to fit it easily to your tie or collar. This is a 2.4Ghz Wireless lapel mic with continuous frequency matching to find the ideal channel without any distortion. It has low radiation, low interference, high signal stability, fast transmission, short audio delay (0.02 seconds). Consequently, you can expect high-quality sound to be delivered by this mic. The Kimafun wireless microphone can automatically connect to a receiver once it is turned on. Its transmitter is powered by an inbuilt Li-ion battery that can provide a working time of up to 6 hours, and the battery is rechargeable using a USB cable. Moreover, if you're looking for a lavalier mic for Android, iPhone, PCs, Laptops, voice amplifiers and camera, this would be it. This is because its receiver comes with a 3.5mm (1/8") plug that makes it compatible with Android and iOS smartphones as well as Tablets and PCs. In line with that, there is an extra 6.35mm (1/4") connection plug adapter that helps to connect this receiver to a Louder Speaker, PA system, and Karaoke. How Were These Wireless Lavalier Mics Selected? To settle on only a few among several others out there, there were a number of factors we used to weigh the features and capabilities of one wireless lavalier microphone over another. These can also serve as factors you should consider when buying a wireless lapel mic for a church, school, film, or your business. These mics will either be fitted to a collar, tie, or neck and as such, they must small and nonobstructive. A miniature size means that it won't draw the attention of your audience from the subject topic and being nonobstructive means that you can still do most of the things you would've been able to do without the mic. Our selected lightweight and compact mics have a portable size and come with concealable cables which can be securely connected to the transmitter. In the same vein, the transmitters are light enough to be carried about with ease without causing great discomfort. While some mics are best suited for studios, some are more suited for filmmaking and public speaking. That is to say, you'll find condenser mics as well as dynamic ones, and also mics having either an omnidirectional or cardioid polar pattern. The choice of which you go for will be determined by where you want to use it. For instance, a condenser cardioid mic will be suitable for a studio while a dynamic mic has general purpose uses. Also, you'll find omnidirectional mics for film production. Irrespective of why you're buying one, you can find a lav mic that can provide you with the best audio quality. Keep in mind that there are some whose receiver plug makes it compatible with a range of devices other than a camera or amplifier. If a transmitter can cover a long range, then the strength of the signal between the transmitter and the receiver will be strong and not easily interfered by objects in their line of sight. As a result, most of our selected mics can cover at least a 100m range between both devices. If it doesn't as is the case of the Kimafun 2.4g wireless lavalier microphone, its price and other features make up for its short 40m coverage. The reviews of buyers on Amazon who have also bought these selected microphones and have used them for months or years helped us in determining to an extent their quality. And these are the best wireless lavalier microphone for DSLRs, iPhone, Camera, PC, as well as Guitarists which you can take advantage of. Irrespective of your reasons for buying a lav mic, you can find one on our list that is specifically tailored to meet your needs. Each can amplify sound, maintain consistent sound levels and most importantly, will not pick up sounds from the environment. Now it’s your turn to go ahead and buy one of this that ensure you get a superb audio quality.